SAME (s-adenosylmethionine) is not an herb or a hormone: it’s a molecule that all living cells produce constantly. To appreciate it’s importance, you need to understand a process called methylation. It’s a simple transaction in which one molecule donates a four-atom appendage, a so-called methyl group to a neighboring molecule. Both the donor and recipient change shape in the process, and the transformation can have far reaching effects. When you read the above statement by Dr. Craig Cooney an assistant professor of biochemistry and molecular biology at the University of Arkansas for Medical Sciences, they imply that a single agent donates a part of itself which triggers and speeds up a cascade of biochemical reactions that initiate several anabolic and health restorative processes. Dr. Cooney’s comments also suggest that both the donating agent and the substance receiving the donor by product are changed biologically in the process. While this process known scientifically as methylation, it has over the last decade been linked to preventing the manifestation of a number of today’s degenerative disorders like cancer and heart disease. There is now evidence that abnormal methylation patterns that occur along strands of DNA (your genetic blueprint) can be altered by specific nutrients found in foods and various supplements. Why is this important here in the context of growth and performance? In this report I will summarize some of the research which has revealed how the methylation process jumpstarts and maintains anabolic drive. As cited in a rich body of emerging research by improving inborn methylation donating processes this can alter negative gene expression patterns. Gene expression occurs when information from a specific gene is used in the synthesis (to break down) of a functional gene. The by-products of this breakdown are usually proteins. By manipulating gene expression more efficiently researchers now know that this enhances the cells (including muscle cells) ability to bind to a specific molecule to manufacture and or change to what cells need to perform when it needs them. This allows cells the flexibility to adjust and adapt to changing environments of catabolism (wasting) and anabolism (growth). One area of gene expression that has a direct impact on how well you recover, grow and repair is that of proper control of insulin expression and glucose regulation. As you know it is insulin that stabilizes blood sugar levels and also drives nutrients into the muscle cells to initiate growth, thus enabling cells to utilize fuel more efficiently. One of the most exciting areas concerning methylation is its potential to suppress and correct catabolic activities. For example, exercise and nutritional physiologist discovered how important antioxidants like vitamin C, selenium, vitamin E and pycnogenol are important to bodybuilders. Highly negative reactive molecules known as free radicals that are produced during intense workouts, and in many normal metabolic reactions, attack cells and lean muscle tissue and the all important mitochondrial cells where energy production and fat burning take place 24 hours a day. These antioxidants act as bodyguards taking the destructive hit for the cell. However, visualize 10,000 or more attacks a day by these free radicals, with an antioxidant force of about ½ that to guard the cells. Under these circumstances, shifting the body from the catabolic aftermath here to an anabolic one would be very difficult. This is why experts today insist that individuals engaged it resistance and or other areas of physical training take ample amounts of antioxidants daily. Based on our discussion here, I’m sure you have surmised that improved methylation reactions can have a profound effect in shifting the down-regulation of catabolic (muscle wasting) processes. If you think of antioxidants being bodyguards against free radical damage, think of methylation as the process the body uses to repair the antioxidants that are damaged by free radical aggression. This internal war to maintain your state of internal anabolic equilibrium could be compared to a terrorist bomber firing continuous rounds of live ammo from an automatic assault weapon. The goal of this internal assault is to damage cell membranes (the outer fortress of the cell), the cell wall and or the protoplasm (the living material of a cell) or DNA (deoxyribonucleic acid) the fundamental building block for not only your body composition, but also your entire genetic makeup. In retrospect methylation is a biochemical process in which certain chemicals referred to as methyl groups are transferred to different substances like proteins, DNA, antioxidants and various molecules, that keeps specific substance in good working order. In practical terms here, this donor process could be compared to the life saving and restorative process of donating a liver or kidney. By donating molecules from a specific methyl group to a compound or other elements, the body can either start or reactivate a reaction like energy production or protein metabolism and or activate a enzyme. 1.Brain neurotransmitter synthesis of dopamine, norepinephrine and serotonin. As a point of reference here dopamine and norepinephrine play a critical role in boosting what sports scientist refer to as anabolic drive. Linked to maintaining feelings of excitement these excitatory brain chemicals also stimulate growth hormone release, which enhance muscle repair and growth. 5.De-activation of cancer cells and improved immune function. 6.Detoxification, repair and healing activities in the body. 8.Lowering blood pressure and improving cardiovascular function. 9.Glucose metabolism and insulin resistance. Other things that methylation regulates is increased production of creatine to make ATP (adenosine-tri-phosphate) the high-energy molecule your body uses to fuel muscle tissue and increase cell volumizing activities. As you know, cell volumizing or muscle volumizing is concerned with moving increased levels of creatine, water, protein and carbohydrates into the muscle cell. This causes hypertrophy (muscle growth), which results in increasing the actual diameter of the myofiber (the muscle fiber size) via accelerated protein synthesis. Methylation also stimulates the production of melatonin, which is a hormone associated with improved brain function, mental clarity and improved sleep patterns, aiding in growth hormone production and improved recovery from workouts. An added benefit here in the increased production of melatonin is elevated levels of testosterone. In fact, researchers at the University of Genova in Italy recently reported that melatonin not only assists in modulating the androgen milieu (all the surrounding state and environmental conditions that influence one’s growth or development) but the body’s immune response as well. Furthermore, there is also evidence that improved melatonin production via methylation may act as an aromatizing (estrogen blocking) agent. New data also indicates that melatonin decreases circulating levels of estradiol (estrogen). As you know, this will have a definitive impact on decreasing fat deposition and water retention. 1.Dimenthyglycine (DMG) – DMG is a methylated amino acid found in all cells. It serves as a methyl donor and also acts as a powerful antioxidant. While this amino acid enhances immunity, it is best known for its ability to increase energy levels. Studies indicate that DMG has the ability to increase stamina by 40% by its ability to oxygenate cells and reducing the production of lactic acid, which causes muscle fatigue. 2.Inositol – In cases of under methylation researchers utilize this B-vitamin due to the fact it is one of the primary secondary messengers responsible for stabilizing over excitable neurotransmission signals between brain cells. This action will keep you on an even keel and mentally focused reducing anxiety and improving sleep. 3.SAME – SAME is one of the body’s primary methyl donating agents in the body. It is responsible for initiating one of the body’s most dominant methylation cascade of reactions, in which the amino acid methionine is used to methylate proteins and DNA. However, a by-product of methionine breakdown is homocysteine that has been linked to heart disease. SAME is responsible for methylating homocysteine so that it can be converted back to methionine. Methionine assists in the breakdown of fats, acts as an antioxidant and is involved with the proper metabolism of the amino acids L-cysteine, gluthione and taurine. It also helps the body manufacture glucose and glycogen to fuel tired muscles and also assists in the synthesis of creatine, epinephrine and melatonin, all powerful anabolic compounds. 4.Tri_Methyl-Glycine (TMG) – TMG, also known as betaine, is metabolized into DMG during the synthesis of methionine from homocysteine. It is considered to be one of the most effective known methylation agents. It regenerates SAME production, and like SAME has powerful anti-depressant properties. 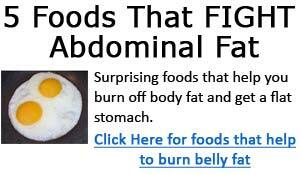 Studies have shown that it can also decrease fat production. Researchers contend that human subjects have experienced a loss of 5 pounds of fat while gaining as much as 12 pounds of muscle at dose ranges of 500-2,000 mg/d. TMG also elevates glutathione one of the body’s most powerful antioxidants and liver detoxifying agents. TMG also improves mood, sleep patterns and increases stamina, as well as being intimately involved in methylation processes that keep homocysteine in balance. Vitamin B-12 is known as the red vitamin and is critical to proper energy production, immune function, the formation of red blood cells and the proper utilization of iron. It is also needed for proper digestion, food absorption, carbohydrate and fat metabolism. Based on the above attributes it appears that vitamin B-12 may be one vitamin that serves as a co-enzyme that jump-starts and regulates many anabolic processes. Well, for all intents and purposes it is involved in over 100 enzymatic reactions, which also includes protein metabolism and its proper synthesis. As you know, protein metabolism is a term used to denote the bio-chemical processes the body uses to breakdown proteins into amino acids. This is referred to proteolysis. There is also emerging time data that shows that vitamin B-12 when methylated has a direct impact on muscle hypertrophy (the increase in size of muscle cells) via its metabolic amplifying effect on protein and amino acid synthesis. When you think about being juiced or amped, you feel like you are in that zone and ready to tackle that next workout with a lot of zest and zeal. This feeling of exhilaration however must start and emanate from somewhere deep inside your cellular structures. This is in reality the beauty of vitamin B-12. Simply put, vitamin B-12 and folate another B vitamin shuttles simple carbon compounds from one molecule to another. These two powerful metabolic co-factors in essence serve as carbon shuttles. Why is this important? Well for starters all of life’s biological reactions are based on carbon, the fourth most abundant element in the universe. Carbon is a building block of biochemical molecules, ranging from fats, protein, carbohydrates and hormones. Researchers today know that vitamin B-12 is one of the missing fundamental building blocks that regulates protein metabolism and the synthesis of other key amino acids, hormones and neurotransmitters that affect your mood, energy levels and reducing muscle fatigue. It is here that researchers remind us that for healthy protein metabolism to occur, disruption of this carbon shuttle cycle due to vitamin B-12 deficiencies shuts down methylation cycles, ultimately inhibiting the proper synthesis of protein and DNA, your biological blueprint. Current research data indicates that during this carbon shuttle cycle, cells actually direct vitamins and carbons toward protein metabolism first for functions like growth and repair. By maintaining adequate blood levels of vitamin B-12 and its anabolic partner folic acid, you are able to stabilize these metabolic processes of carbon shuttling, also referred to as the cycle of single carbon metabolism. For all intents and purposes, it is important to remember that staying juiced has a new connotation, beyond that of being hyped to make it through a single workout. This emerging field of study known as epigenetics has revealed that it is more important to concentrate your efforts on enhancing methylation processes as it serves as the foundation that truly drives the anabolic cycle nutritionally, physically and mentally. With the ability to help the body change cellular activity at a accelerated rate, in essence giving proteins, and genetic structures what they need when they need it is a emerging frontier that suggest that methylation plays a critical role in regulating growth and repair mechanisms that ignites and sustains anabolic drive. Baldessarini, R.J. Neuropharmacology of S-adenosyl-L-methoionine. American Journal of Medicine. 1987; 83(Suppl. 5A): 95-103. Chiang, P.K., et. al., S-adenosylmethionine and methylation. FASEB Journal. 1996; 10: 471-480. Cooney, C., Wolff, A., Louis, G. U.S. Patent 6541680 – Nutritional methyl supplements change DNA methylation and related characteristics of mammalian offspring. Patent Storm. 2003 April. Cooney, C. Methyl Magic: Maximum Health Through Methylation. Riverside NJ: Andrews McMeel Publishing, 1999. Davis, C.D., Uthus, E.O. DNA methylation, cancer susceptibility and nutrient interactions. Experimental and Biological Medicine. 2004 Nov; 229(10): 988-995. Enzyme Stuff. The Wonderful World of Digestive Enzymes and Methylation. Found online at: www.enzymestuff.com/methylation.htm Accessed on 12/28/12. Fletcher, D. New studies on melatonin and test levels. Frankel, P. The Methylation Miracle: Unleashing Your Body’s Natural Source of SAM-E. New York: St Martin’s Press; 1999. Frungieri, M.B., Mayerhofer, A., er. Al., Direct effect of melatonin on Syrian hamster testes: melatonin subtype 1 a receptor, inhibition of androgen production and interaction with the local corticotropin-releasing hormone system. Endocrinology. 2005 March; 146(3): 1541-1552. Gibala, M.J. Nutritional supplementation and resistance exercise: what is the evidence for enhanced skeletal muscle hypertherapy? Canadian Journal of Applied Physiology. 2000 Dec; 25(6): 524-535. Gibson, L.J., Dawson, C.K., et.al. Aromatase inhibitors for treatment of advanced breast cancer in postmenopausal women. Cochrane Database System Review. 2007 Jan; 24(1): CD003370. Healthy Living.org Antioxidants and Methylation. HealthyVitamins and Mineral Supplementation.com Vitamin B-12 benefits disease and your health: what is the connection? Found online at: www.healthy-vitamins-and-mineral-supplements.com Accessed on 01/17/13. Hibaoui, Y., Roulot, E., Reiss, U.T. Melatonin prevents oxidative stress mediated mitochondrial permeability transition and death in skeletal muscle cells. Journal of Pineal Research. 2009 August. Keegan, F.P., Berech, J. The methylated purines of tetrahymena pyriformis transfer ribonucleic acid. The Journal of Eukaryotic Microbiology. 2007 April; 26: 3: 502-504. Kerksick, C.M., Leutholtz, B. Nutrient administration and resistant training. Journal of the International Society of Sports Nutrition. 2005 Jun; 2: 50-67. Mithcell, T. Methylation a Little Known but Essential Process. Clearwater FL: Life Extension, 1998. NOSAMS (National Ocean Sciences Accelerator Mass Spectrometry Facility) What is Carbon Dating? Pote, A. The Importance of Vitamin B-12 for Your Body. Found online at: www.associatedcontent.com/article/85143/the_impo Accessed on 12/13/12. Riccardo, S., Tortoriello, G., et. al., The coding/non-coding overlapping architecture of the gene encoding the drosophila pseudouridine synthase. BMC Molecular Biology. 2007 Feb; 15. Schmidt, M., Harbeck, J., et. al., DNA-methylation markers and YB-1 as indicators of therapy response in breast cancer. European Journal of Cancer Supplements. 2006 June; 4(6): 11-12. Sinclair, K.D., Allegrucci, C., et. al., DNA methylation, insulin resistance and blood pressure in offspring determined by maternal periconceptional B vitamin and methionine status. Proceedings National Academy of Sciences. 2007 Dec; 104(49): 19351-19356. Tipton, K.D., Wolfe, R.R. Exercise, protein metabolism and muscle growth. International Journal of Sports Nutrition Exercise and Metabolism. 2001 Mar; 11(1): 109-132. Valenti, S., Giusti, M. Melatonin participates in the control of testosterone secretion from rat testes: an overview of our experience. Annals of the New York Academy of Science. 2002 June; 966: 284-289.